Sprawled across Dartmouth College’s campus last week were posters that read “Where is Prof. Paul Whalen?” and “Where is Prof. Bill Kelley?” The signs refer to two of the three professors at Dartmouth who had been absent from campus for quite some time — as it turns out, the three professors were on paid administrative leave in connection with sexual misconduct violations. But students didn’t initially suspect Todd Heatherton, William Kelley and Paul Whalen, professors of psychology and brain sciences conducting research regarding sexual desire and attractiveness, were at the center of any scandals — the university offered no explanation as to why they were on paid administrative leave until student-run newspaper The Dartmouth broke the news. In fact, since the only official statement from the university came after the news, there’s no indication when and if it would have been issued if not for The Dartmouth. And in the seemingly post-Weinstein era of allegations, Dartmouth had the chance to take an appropriately strong stance against sexual misconduct — however, it utterly failed when compared to NPR’s response to sexual misconduct allegations of its own Wednesday. Now-former NPR Head of News Michael Oreskes resigned after allegations of sexual misconduct surfaced yesterday morning. The allegations date back to the 90s, when Oreskes was working at The New York Times as the Washington bureau chief — and the allegations resurfaced in an article by the Washington Post Tuesday. NPR also reported Oreskes allegedly harassed at least one woman while working at NPR. In response to these allegations, NPR CEO Jarl Mohn made the logical and transparent decision to simply ask for Oreskes’ resignation — which he received, effective immediately. Not only did Mohn act quickly in the face of controversy, but he also made the brave move toward transparency by going public with the news. NPR tactfully handled Oreskes’ allegations not by hiding the news of their institution, but by choosing to act swiftly and calling it what it was — sexual harassment. Approaching sexual harassment while trying to protect an image only reinforces a dangerous veil of secrecy allowing the issue to grow and fester, and even undermines the seriousness of the crime. And this is exactly what Dartmouth did. By failing to issue a proactive statement regarding its own internal affairs, these crimes could have gone undiscussed, perpetuating a dangerous cycle of unheard survivors. 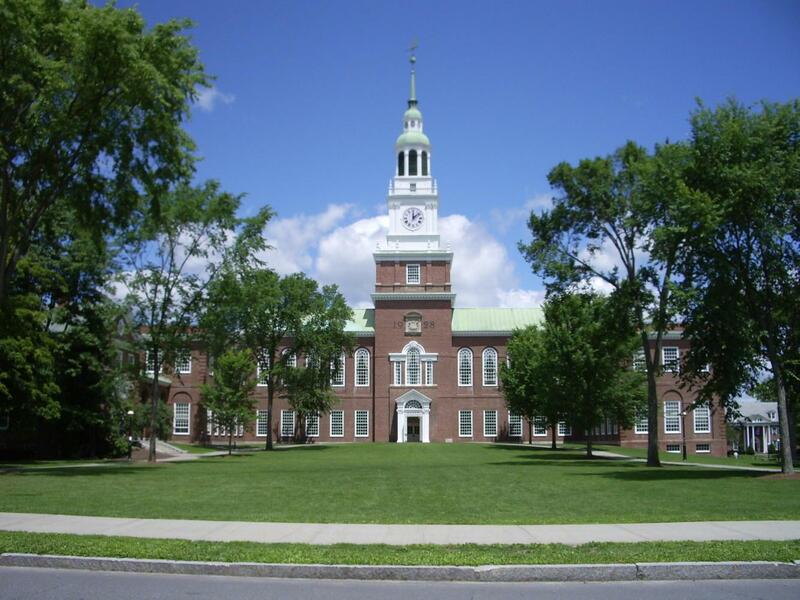 Unfortunately NPR couldn’t serve as an example to Dartmouth — but if all institutions responded the way NPR did, the conversation would at least be honest and one step toward finally addressing the problem.